"The Pill Box Capital of the World"
Contact President Dennis Barber here. Knox Historical Society was founded in 1973 and is chartered with the New York State Education Department. Our goal is to preserve, protect, and promote historic culture in the Town of Knox through our research, website, publications, educational programs, and community outreach. We meet on the first Tuesday of the month at 7:00 p.m. in the Knox Town Hall, 2192 Berne-Altamont Road (Route 156), Knox, NY. We frequently have guest speakers. Visitors and new members are always welcome. During the summer we host several family-friendly programs which feature our collections at the Saddlemire Homestead. Unfortunately, the museum has no heat and is closed October through May. Take a virtual tour here. "The History of American Women in Song Program"
and other activities from 2018. The early inhabitants of the area of Knox included Algonquians and tribes of the Iroquois Nation. In the years following the exploration of the Hudson River and surrounding region by Henry Hudson, a patroon system was established by the Dutch in the region. In 1629 the patroonship of Rensselaerswijck was set up in an area on both sides of the Hudson River, measuring 24 by 48 miles. Under the system the patroon, in this case the Van Rensselaer Family, settled families from The Netherlands on the land in exchange for rent. Maps showing the plots of land assigned by Patroon Van Rensselaer can be seen in the Saddlemire Homestead. Palatine Germans had improved an Indian foot trail to get through present-day Knox to Schoharie in the early 1700s. Some of the Palatines moved back to Knox in the mid-1700s and began farming. These farmers and others who moved into the area worked the land often without the permission of the Patroon. The patroon system survived the British takeover from the Dutch in 1664, became an English manor system, and survived the American Revolution. In the early years of the 19th century more and more farmers living under this system decided it was unfair and refused to pay back rent. Struggles to abolish the system became known as the Anti-Rent Wars. Farmers dressed as calico Indians and used tin horns to alert their neighbors when the sheriff was riding into the area to collect rents. A tin horn from this time period can be seen in the Homestead and replicas of the calico Indian costumes are on display. Formerly known as the hamlet of North Berne, Knox became a town in 1822. There was little water power suitable for industry and farming was the main occupation in the Town. Knox’s cottage industry in the 19th century was the manufacture of pill boxes. Click here to find more information. Public education was instituted in 1795 and subsequently Knox had 15 one-room schools throughout the town. One of those one-room schoolhouses, School House No. 5 on Ketcham Road, has been restored by the Kiwanis Club of the Helderbergs. More information on this school house and the book History of a One-Room Schoolhouse in Knox, NY by Daniel A. Driscoll can be obtained by clicking here. In 1972 Knox celebrated its sesquicentennial and an outgrowth of that celebration was the establishment of the Knox Historical Society. 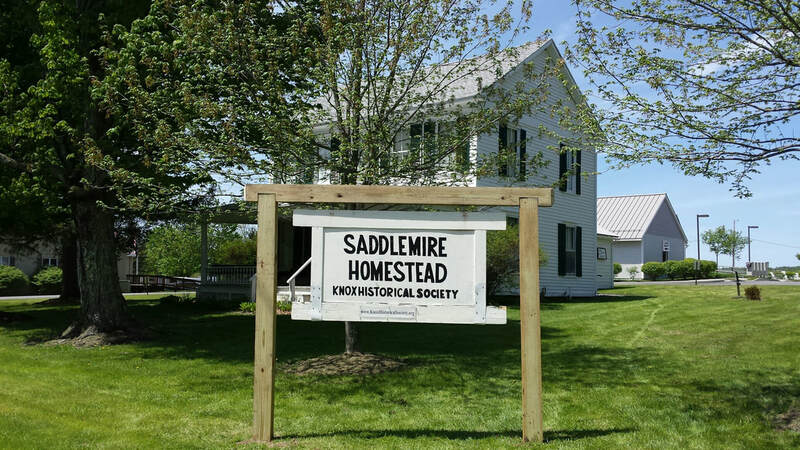 Click here for information on the birth of our historical society. A special reprint of the Knox, New York Sesquicentennial Booklet 1822-1972 was released in 2014. To find out how to purchase this booklet click here. New York State historic markers document the history of the Town of Knox. Information on purchasing the booklet Historic Markers in the Town of Knox can be obtained by clicking here. Click here for Historic Trails listed on the left at the top of this page and explore more of Knox's history.